Lewis Hamilton and Mercedes are growing ever closer to reclaiming their world crowns, and they are look for a fourth win in succession as they arrive in Japan with just five rounds of the Formula 1 season left. 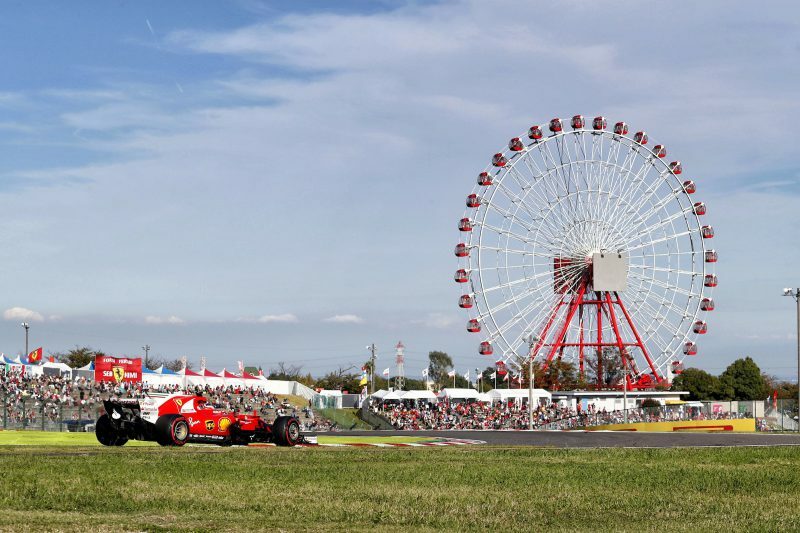 The Japanese Grand Prix is one of the most eagerly awaited of the year, and again Mercedes are looking to continue their dominance having won the last four races at Suzuka – with Hamilton winning three of those. However, title rival Sebastian Vettel does have a fine record with four previous wins – although his last one came back in 2013. 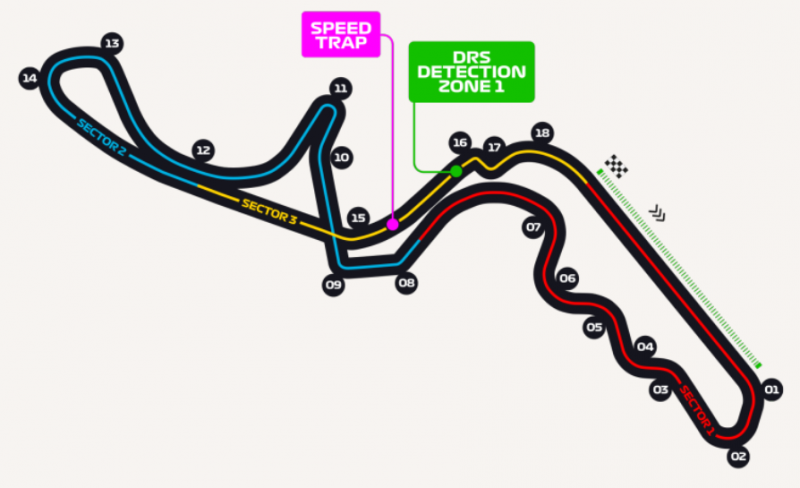 Hamilton is looking for victory in Japan, like he tasted in Russia last week – but he is hoping to do it in slightly more comprehensive fashion after team-mate Valtteri Bottas let him through, under team orders, to allow the Brit to take maximum points. And Mercedes team boss Toto Wolff insists they have no issues with how they won in Sochi. Hamilton himself added: “All around the car feels great. Engine performance is improving, efficiency is improving, car stability is improving. “It is a good point of the year because the car is the best it has been. Vettel remains hopeful that they can claw back the gap, now at 50 points. “I still believe in our chances, yes. It takes one DNF (did not finish) and then all of a sudden things look different,” said. Bottas was gutted to hand over a likely win in Russia and admits he would probably have to do it again in Japan, if a similar situation arises. “I know what I have to do and I am a team player. As a team, it was the best result we could hope for. I would do it again. It doesn’t mean I am not a racer,” he said. “I just have to accept it because of what happened earlier in the season. I can’t fight any more for the world championship and we need to play as a team if we really want to win the title. That’s how it is. With the title looking like it is running away from him, it is now or never time for Sebastian Vettel. With that in mind the betting won’t make the most comfortable reading for the German as he finds him self yet again behind the favourite Lewis Hamilton. 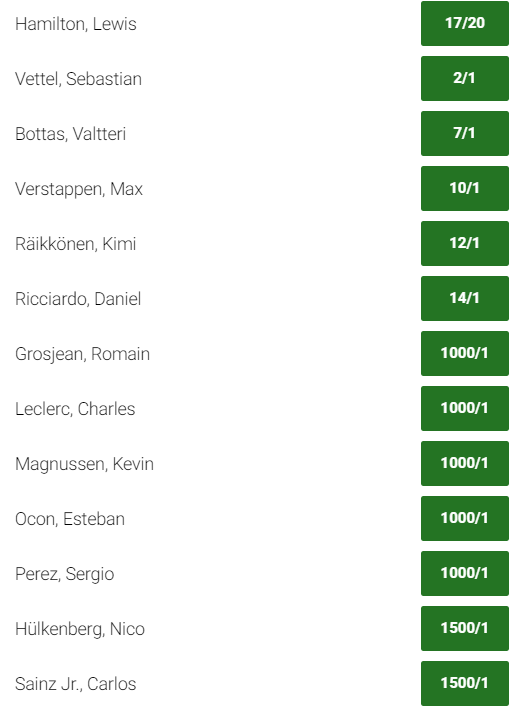 Vettel’s 2/1 price may look like value or not, depending on if you focus on how much he needs the win and will be motivated, or Lewis Hamilton’s imperious form. Hamilton, having won 5 of the last 6 races, albeit with a hefty chunk of help from Toto Wolff’s team orders in Russia, is a 17/20 shot, and all things considered, even at odds on it could represent value right now.